Description NEW Right Valve Cover&Gasket FITS Infiniti FX35 M35 G35 Nissan 350Z 13264-AM600 100% Brand New,never been used High quality Direct fit OE style replacement part Interchange Part Number: 13264AM600 Professional Installation is Highly Recommended No Instruction Included Compatible 2003-2006 Nissan 350Z Valve Cover 2003-2007 Infiniti G35 Valve Cover(2007 Eng Code- VQ35DE) 2003-2008 Infiniti FX35 Valve Cover 2006-2008 Infiniti M35 Valve Cover Key Features . 03 - 08 INFINITI FX35 3.5L 3498CC V6 DOHC. 06 - 08 INFINITI M35 3.5L 3498CC V6 DOHC. 03 - 07 INFINITI G35 3.5L 3498CC V6 DOHC. 03 - 07 NISSAN 350Z 3.5L 3498CC V6 DOHC. 2 VALVE COVER GASKETS (DRIVER & PASSENGER SIDE). For Infiniti FX35 Valve Cover 2003-2008. For Infiniti M35 Valve Cover 2006-2008. For Nissan 350Z Valve Cover 2003-2006. 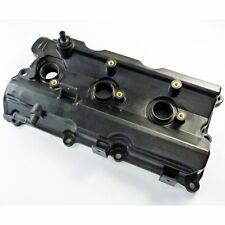 Valve cover is the top part of the engine sealing components, and seals up the engine lubricating oil, makes the engine run and the lubricating oil will not leak out. 2003-2008 Infiniti FX35 Valve Cover. 2006-2008 Infiniti M35 Valve Cover. 2008 Infiniti FX35 Base Sport Utility 4-Door 3.5L 3498CC V6 GAS DOHC Naturally Aspirated. 2008 Infiniti M35 Base Sedan 4-Door 3.5L 3498CC V6 GAS DOHC Naturally Aspirated. Carbon fiber item is Surface glossy finished. Use 3K twill weave real carbon fiber material. Specialist on body kits and carbon fiber products. Delicate handcraft by carbon fiber. - Due to characteristic of carbon manufacture, tiny air bubble, wavy weave or blemish on the clear coat is inevitableand we DO NOT classify this as im-perfection. Mfrlabel:Engine Valv. 2005 Infiniti G35 Base Coupe 2-Door 3.5L 3498CC V6 GAS DOHC Naturally Aspirated. Mfrlabel:Engine Valv. 2005 Infiniti G35 Base Sedan 4-Door 3.5L 3498CC V6 GAS DOHC Naturally Aspirated. 2003-2008 Infiniti FX35 Valve Cover. 2006-2008 Infiniti M35 Valve Cover. 2003-2006 Nissan 350Z Valve Cover. 2003-2007 Infiniti G35 Valve Cover(2007 Eng Code- VQ35DE). We promise we will do our best to serve you. OEM:13264-AM610 Application: (2008-03) INF FX35 (3498) * (2006-03) INF G35 (3498) * (2007) INF G35 (VQ35DE) * (2008-06) INF M35 (3498) * (2006-03) NIS 350Z (3498) Package included:1 Piece as picture shows; This is a After Market Item;Shipping with free tracking number,7-10 days delivered to US;Order handled in 24 hours in Business day;With 12 Months Warranty.Please Note Before Buying This Item It Does Not Fit All Versions Of The Model Advertised In The eBay Compatibility List as eBay Work Via Engine Size(s) Not Via Spec Of Car, Please E-mail / Message Us Your Full Reg Number or Chassis Number Prior To Ordering To Be Sure It Is Correct. Engine Valve Cover Gasket Set For Mini Cooper S JCW r55 r56 r57 r58 r59 New. New Engine Valve Cover Set Kit 11127552281 For BMW 128i 328i 528i X3 X5 Z4. Valve Cover w/ Gasket for Audi Q7 VW CC Passat Touareg 03H103429H 2006-2017 3.6L. Infiniti FX35 2003-2008. Infiniti M35 2006-2008. Nissan 350Z 2003-2007. Infiniti G35 2003-2006. Valve Cover x 1pcs. Gasket x 1pcs. VQ35DE 3.5L V6 Engine / Motor. We do not compensate your labor, towing, repair, rental expenses or any other related expenses. New Valve Cover & Gasket Left For Nissan 350Z Infiniti FX35 M35 G35 13264-AM610. New Engine Valve Cover Gasket Set For Mini Cooper S JCW r55 r56 r57 r58 r59 CA. 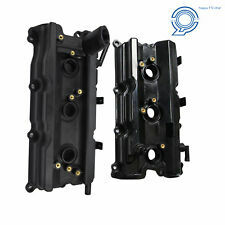 Valve Cover w/ Gasket for 06-17 Audi Q7 VW CC Passat Touareg 3.6L 03H103429H CA. 100% new items in new packing, un-opened, never used. Retailing on wholesale price with Money-back quality guarantee. Directly from factory with competitive price. Please check the OE number is same with your car part. Warranty:Yes OE Number For Reference:13264-AM610 Application: For Nissan. 2006-2008 Infiniti M35 Valve Cover. 2003-2006 Nissan 350Z Valve Cover. 2003-2007 Infiniti G35 Valve Cover(2007 Eng Code- VQ35DE). 2003-2008 Infiniti FX35 Valve Cover. And the compatibility chart is for reference only, NOT 100% accurate. Description A high quality Front Passenger's side Power Window Motor made to fit and function like the original. FEATURES Power with 6 Pin Connector Power Motor ONLY NOT Included: Window Regulator YOUR "RIGHT PART" CHECKLIST Visually compare the part you are replacing with our pictures above. Match a reference number from the E-Z Reference chart below. Please check pictures for more details Compatible Fitment: VQ35DE 3.5L V6 Engine / Motor Infiniti G35 2003-2006 Infiniti M35 2006-2008 Infiniti FX35 2003-2008 Nissan 350Z 2003-2006 See fitment list in Compatibility . New Engine Valve Cover Gasket Set For Mini Cooper S JCW r55 r56 r57 r58 r59 US. Valve Cover w/ Gasket for 06-17 Audi Q7 VW CC Passat Touareg 3.6L 03H103429H USA. Position: Right & Left. Engine Valve Cover Gasket Set For Mini Cooper S JCW r55 r56 r57 r58 r59 New. Valve Cover w/ Gasket for 2006-2017 Audi Q7 CC VW Passat Touareg 3.6L 03H103429H. Position: Right & Left. New For LAND ROVER CYLINDER HEAD COVER LR2 3.2L I6 LR023777. 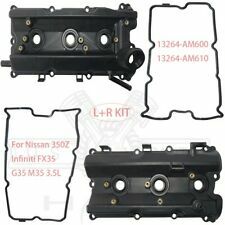 Right Valve Cover&Gasket For Infiniti FX35 M35 G35 Nissan 350Z 13264-AM600. New Valve Cover & Gasket Left For Nissan 350Z Infiniti FX35 M35 G35 13264-AM610. Engine Valve Cover 11127565284 For BMW 535i 135i 335i X6 Z4 Turbo Valve Cover US. Position: Right & Left. We promise we will do our best to serve you. Good quality, good operation. Key Features. 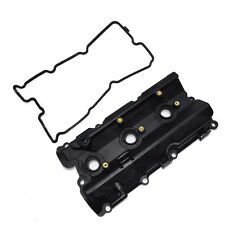 New Valve Cover & Gasket Left For Nissan 350Z Infiniti FX35 M35 G35 13264-AM610. 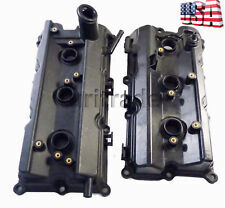 NEW Right Valve Cover&Gasket For Infiniti FX35 M35 G35 Nissan 350Z 13264-AM600. New Engine Valve Cover Gasket Set For Mini Cooper S JCW r55 r56 r57 r58 r59 US. Infiniti FX35 2003-2008. Infiniti M35 2006-2008. Nissan 350Z 2003-2007. Infiniti G35 2003-2006. Valve Cover x 2pcs. Gasket x 2pcs. VQ35DE 3.5L V6 Engine / Motor. We do not compensate your labor, towing, repair, rental expenses or any other related expenses. Description NEW Right Valve Cover&Gasket FITS Infiniti FX35 M35 G35 Nissan 350Z 13264-AM600 Fast Free Shipping From California Please check pictures for more details Compatible Fitment 2003-2006 Nissan 350Z Valve Cover 2003-2007 Infiniti G35 Valve Cover(2007 Eng Code- VQ35DE) 2003-2008 Infiniti FX35 Valve Cover 2006-2008 Infiniti M35 Valve Cover Key Features Shipping from the USA,we offer Free USPS Frist Class. Good quality, good operation. Comes in a sealed package, ready to install. Installation instructions not included, Tool not included. Note . New Engine Valve Cover Gasket Set For Mini Cooper S JCW r55 r56 r57 r58 r59. Engine Cylinder Head Valve Cover for BMW E82 E90 E70 Z4 X3 X5 128i 328i 528i. Valve Cover w/ Gasket for 2006-2017 Audi Q7 VW CC Passat Touareg 3.6L 03H103429H. Valve Cover & Gasket Left For Nissan 350Z Infiniti FX35 M35 G35 13264-AM610. 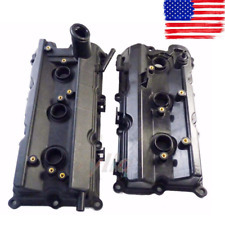 NEW Right Valve Cover&Gasket For Infiniti FX35 M35 G35 Nissan 350Z 13264-AM600. Engine Valve Cover 11127565284 For BMW 535i 135i 335i X6 Z4 Turbo Valve Cover US. Reference OE part number:13264-AM600 Application: For Nissan Quest 350Z Maxima Murano Infiniti G35 M35 FX35 3.5L Warranty：one year Returns accepted Package included:As Pictures show Color:As Pictures Show We usually ship within 1 business days after your payment. This is a After Market item Before ordering,Please check Manufacturer Part Number and eBay Compatibility.To be sure it is fit for your car!. 100% new items in new packing, un-opened, never used. Retailing on wholesale price with Money-back quality guarantee. Directly from factory with competitive price. Please check the OE number is same with your car part. Warranty:Yes OE Number For Reference:13264-AM600 Application: For Nissan. Carbon Fiber Engine Plug Inside Cover Kit Protect For Nissan Z33 350Z 2002-2006 Important Illustrations: 1.Material and suitable model of the item please look at listing tittle carefully before bidding. 2.Carbon fiber item is Surface glossy finished .Use 3K twill weave real carbon fiber material. 3.FRP fiber glass item is White or black unpainted semi-finished, must to be primed & painted before fitted, scratch is not quality issue. 4.Due to handcrafted product please accept minor adjustment while fitting. Recommend professional body shop for installation. 5.Please contact us if we have not specified the shipping fee to your country. 6.Welcome to share us the items fitting into the car after you install it .Thanks. 7.Please Don't open case or leave negative/neutral feedback without com. Material: Made Of Carbon Fiber. Color:As picture. Carbon fiber item is Surface glossy finished. Use 3K twill weave real carbon fiber material. from standard factory, 4. Delicate handcraft by carbon fiber. Specialist on body kits and carbon fiber products. Carbon fiber item is Surface glossy finished. Use 3K twill weave real carbon fiber material. - Due to characteristic of carbon manufacture, tiny air bubble, wavy weave or blemish on the clear coat is inevitableand we DO NOT classify this as imperfection. 1. Material and suitable model of the item please look at listing tittle carefully before bidding. 2. Carbon fiber item is Surface glossy finished .Use 3K twill weave real carbon fiber material. 3. FRP fiber glass item is White or black unpainted semi-finished, must to be primed & painted before fitted, scratch is not quality issue. 4. Destination duty not included in price (EURO will charge import duty). FedEx/DHL/TNT/EMS are preferred mode of transportation. 5. Due to handcrafted product please accept minor adjustment while fitting. Recommend professional body shop for installation. 6. Please contact us if we have not specified the shipping fee to your country. 7. Welcome to share us the items fitting into the car after you install it .Thanks.